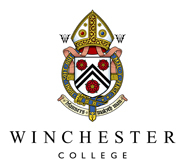 The 1382 Society has been created by Winchester in order to recognise generous donors to the Annual Fund. Regular support of the Fund benefits the School by providing a steady and predictable income stream. A minimum donation of £1,382 a year, for 3 years, qualifies you to become a member of the 1382 Society. The donation can be a one-off gift or a regular direct debit (e.g. £115.17 a month). If you would like further information about The 1382 Society please contact Winchester College Society, Development Office.